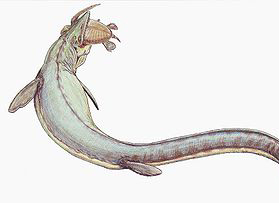 Dallasaurus belonged to a family of Mosasaurs which were serpentine lizards. Dallasaurus were found in Dallas County which is located in Northern Texas . The meaning of this name Dallasaurus is lizard of Dallas . Their partial remains do not tell us much about them. However paleontologists have tried and are still trying to find more information on them. They are found in two parts. The first part that was found had skull but some body parts were missing. The second part had some body parts but had no skull. Studies then have revealed that these are the oldest mosasauroid along with Russellosaurus to be found in North America . Van Turner discovered this fossil some 16 years ago in Dallas . It took him many years to discover the mystery behind this mosasaur. In addition to this, the fossils were accidentally excavated at a construction site. They were sort of amphibians as they could live on land as well on lands. It is believed that they lived 92 million years ago. Interestingly Dallas was mostly under water then. These creatures were three feet long and lived in shallow waters of the sea as well as the shores. After a lot of research, paleontologists have proven that they had well developed limbs. These limbs enabled them to walk on land and water properly. In fact, Dallasaurus gives an insight to Mosasaurs. So in a way the study of Dallasaurus reveals the existence of some prehistoric creatures which could live both on land and water. These creatures were exclusively found in the North American continent. The fossils of Dallasaurus came handy for further research. Studies revealed that in later stages, the limbs of Mosasaurs developed into fins. They dominated the waters when the dinosaurs dominated the land. In reality the Dallasaurus was the first of a kind of this breed. Michael Polcyn of Southern Methodist University and Guadalupe National Park ‘s Gordon Bell Jr. in Texas researched on these fossils. Their research was a major breakthrough and thus we have the information on Dallasaurus. Their investigation throws light on the habitat, weather conditions they lived in and some more specific details. Dallasaurus is a missing link between the prehistoric animals and their evolution. What can be further said is that there were two groups of dinosaurs. One remained in the land and the other went to the sea, settled and lived there. These two types of dinosaurs lived millions and millions years ago and ruled the world. They probably had a harmony and an unsaid power equation between them. Dallasaurus also became extinct around the time when dinosaurs also became extinct. They mastered the marine life and lived according to your wishes in the waters. They ruled like kings and were very powerful creatures. Soon they started to control the waters and became predators of the water. A Dallasaurus is a discovery of its kind. It is something that scientists, paleontologists and archeologists are still working on. This is that area of research and study that attracts a lot of attention!